Oww I'm so sad that this is the second and last part of my collab with Amelia :( But don't worry, we've been discussing more shoots so there's definitely more to come! I've absolutely loved working with Amelia and Kiran, I'm so happy with the photos and they've made my blog and Instagram look so cute. 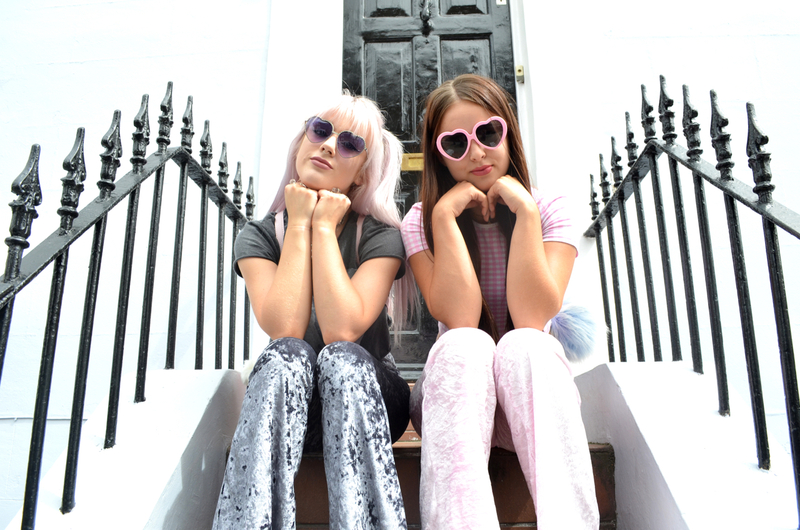 For these outfits we came out in full force in velvet flares...yep, these babies attract enough attention as it is, let alone when you're strutting around in matching pairs! 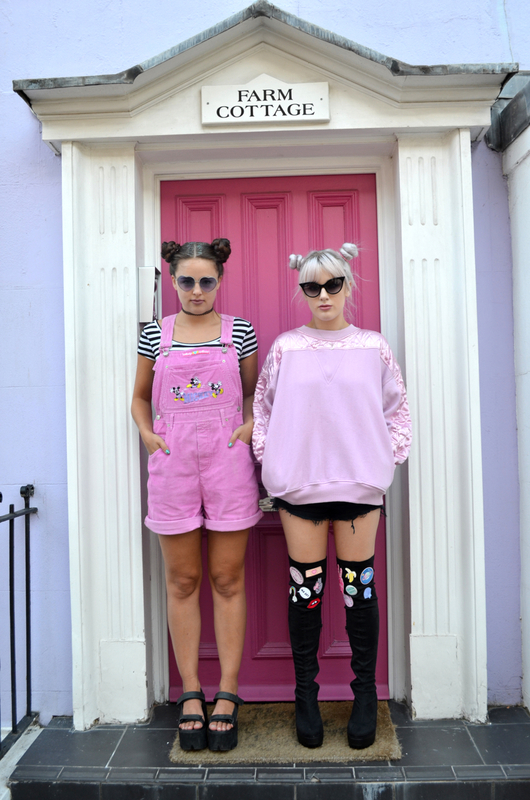 The second look is probably one of my favourites we shot, I absolutely love the pink and lilac background and Amelia's dungarees are TO DIE FOR. 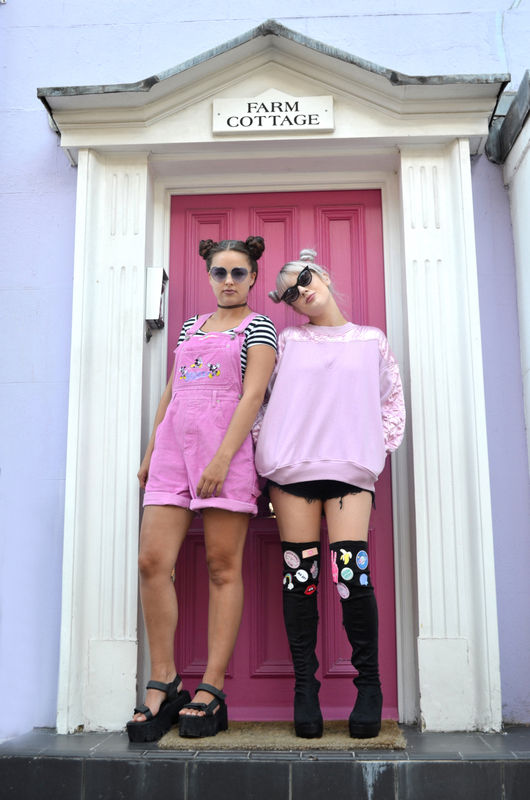 I took some inspiration from the babe that is Tiger from the Confetti Crowd and added some stickers to my over-the-knee boots, they look so fab with this quilted oversized jumper from Rokit. 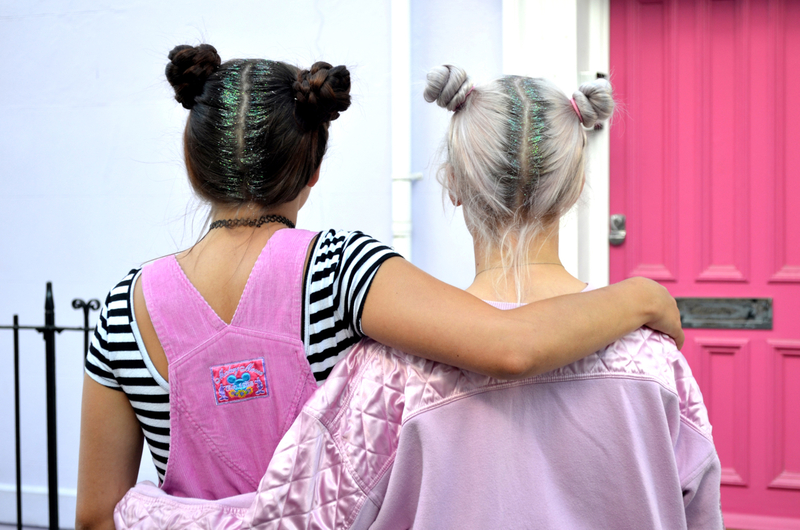 How cute is our hair glitter as well??! So easy to do and I didn't want to ever wash it out! What do you think of these images? Let me know which outfit from the collab has been your fave! You guys are goals, lol wish i could pull off looks like these, those dunagress!!!! I read all my comments so let me know what you think! <3 I reply to all questions so don't forget to check back! © Ellen Atlanta | All rights reserved.